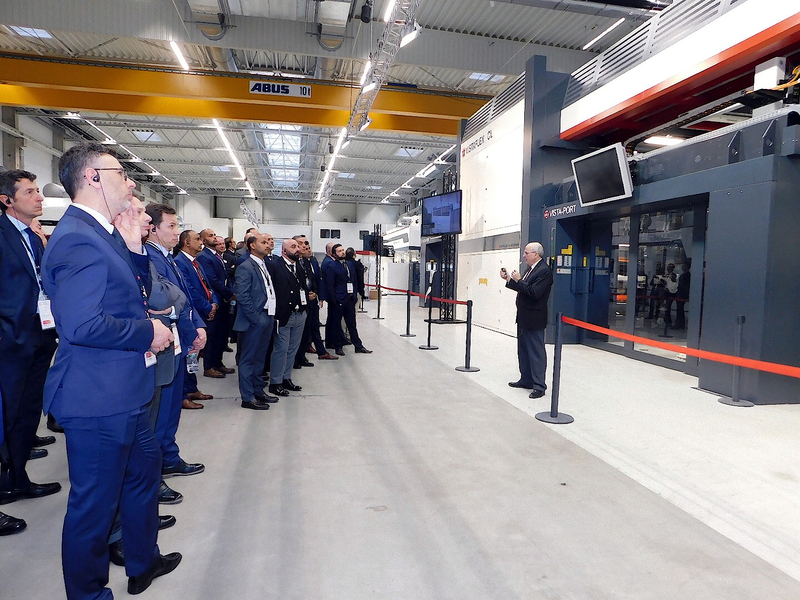 Kodak partnered in the ‘Experience the Future of Flexo’ Open House event held by Windmöller & Hölscher (W&H) on 27 and 28 March 2019 in Lengerich, Germany. At this event, which attracted customers and prospects from the global flexo printing industry, Kodak showcased its new, innovative Kodak Flexcel NX Ultra Solution for the first time outside the United States. The W&H Printing Technology Center is now home to a dedicated Flexo Plate Center, a partnership between Kodak and W&H, where the Flexcel NX Ultra Solution will be available to both W&H and Kodak for customer demonstrations on an ongoing basis. The Flexcel NX Ultra Solution offers a new dimension with respect to productivity and performance in flexo plate production for packaging printing. It’s the first aqueous solution that provides consistent, high-performing flexo plates for high-volume, low-maintenance requirements. Kodak’s revolutionary flexo solution will provide high-quality plates for all demonstrations to be given on W&H’s new flexo presses at the Open House, and will be available for in-house plate production for customer jobs going forward. With its fast and eco-friendly flexo plate production, the Flexcel NX Ultra Solution helps to improve the position of the flexo process vis-à-vis other technology options in the packaging printing segment. The Flexcel NX Ultra Solution’s ability to produce press-ready Kodak Flexcel NX Ultra plates in less than an hour will be demonstrated on both days of the Open House event with the aid of a special packaging motif featuring images of the day. “Our guests to the Printing Technology Centre are given the full lowdown on the very latest developments in flexo printing. We see our extremely efficient and intelligently automated presses as part of the overall process. We work together with numerous partners to demonstrate the possibilities for an optimum overall process. Faster changeovers and shorter time-to-market are particularly important issues. With its Flexcel NX Ultra Solution, our partner Kodak offers prepress specialists an exceptional addition to their existing equipment. In-house plate production enables simpler and faster processes and helps shorten time-to-market,” said Markus Bauschulte, technical sales director Business Unit Printing and Finishing at W&H, explaining this partnership. The Flexcel NX Ultra Solution enables the outstanding and proven print performance for which Kodak Flexcel NX Plates have become renowned. Kodak Flexcel NX Ultra Plates utilize a flat-top dot structure and are fully compatible with Kodak’s NX Advantage technology and patented Advanced Edge Definition for superior ink transfer control. The plates, available in thicknesses of 0.067 inches (1.14 mm) and 0.045 inches (1.70 mm), are targeted at label, paperboard and flexible packaging applications.